This is a tableau dashboards project for home loan department for bank. There is SLQ2CQ internal management system requires tons of tableau dashboards to sure the proper data in order to track the performance of each employee in each department. 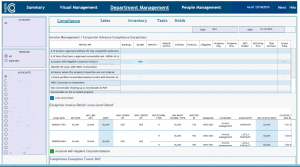 This project is for invoice management department and there are several sections with it. There visual management, people management, and department management. Each team will have this tree types of dashboards and tells with different kinds of data metrics. Here is an example of how this dashboards look. The first two are same dashboards with different filtering. 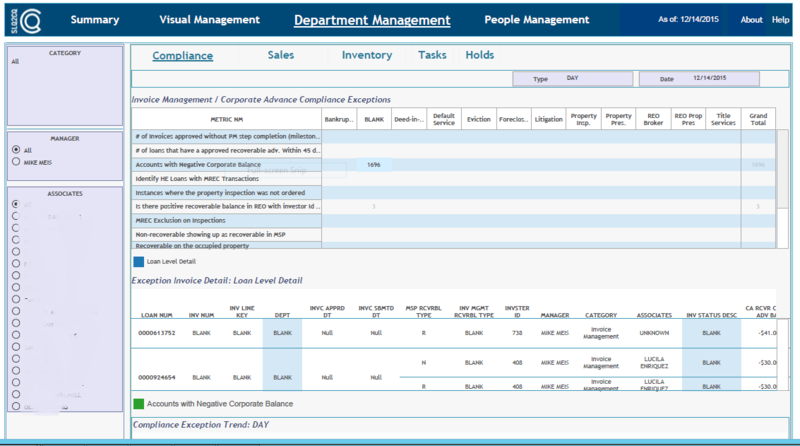 And 3rd one is the dashboard for compliance view, which has summary information with calculation of metrics up there and loan level detail down there. Legacy Community Health was founded in 1978. It is a federally qualified Health Center and they provide services such as adult primary care, dental care, vision services, nutrition services, HIV/AIDS care, behavioural health services, etc. Currently, traditional RDBMS is used to manage all the data regarding to patient, medication, transaction, and more. Our goal of this project was to load the current existing data in RDBMS to HBase and extract the data using conditions such as prefixes, base column names and etc.